CES 2009: Seagate has announced that it has begun shipping its new 1TB Barracuda 7200.12 hard drive, which packs an impressive 500GB per platter for the first time. The company has achieved this feat thanks to achiving an areal density of 329 Gigabits per square inch on its latest platters - the highest the industry has seen to date. 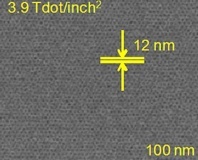 The higher areal density should mean higher performance and potentially lower power consumption from fewer platters. Seagate claims the drive hits sustained data rates of 160MB/sec, up from the 115MB/sec of its previous 1TB drive. This new platter technology will also be available in drives with 750GB and 500GB capacities with 32MB and 16MB cache options as well. Curiously though, there is no word on when we can expect to see a three-platter 1.5TB 7200.12 drive to replace the four-platter Barracuda 7200.11 1.5TB drive we reviewed last week. We suspect a four-platter 2TB drive won't be far away, either - we'll be keeping our ears to the ground over the next few days. There's no word on pricing yet, but we suspect it'll hit a similar price point to Seagate's current 1TB offering. Do you think it'll be able to challenge the Samsung Spinpoint F1's crown? Share your thoughts in the forums. 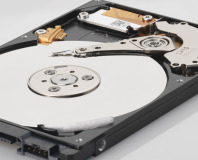 Seagate has announced plans to launch a HAMR-based hard drive with double the storage capacity of PMR-based models. 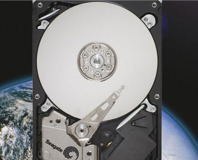 Seagate announces its first hard disk drive with individual platters offering 1TB of storage. Hitachi, in conjunction with NEDO, has developed a technology for producing 24TB HDDs.